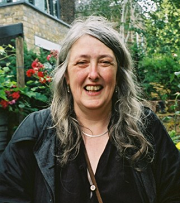 Professor Mary Beard is Professor of Classics at Newnham College, University of Cambridge, Professor of Ancient Literature for the Royal Academy of Arts, and is Classics Editor for the Times Literary Supplement. She holds her degrees from the University of Cambridge, and her extensive areas of expertise encompass ancient history and Classical art and archaeology. Her published works include SPQR: A History of Ancient Rome (Profile Books, 2015), and in 2013 she was made an Officer of the Order of the British Empire. Professor Beard is an AIA Norton Lecturer for 2017/2018.